Almost every manufacturer of model trains have their own track systems, with some designs dating back to the early days of N-scale prior to the establishment of the n-scale NMRA standard. By “track system” I refer to all track components available from a particular manufacturer/supplier- be it a single sectional track, switch point, or a wide variety track in varying sizes, shapes, options.. Most track systems are reasonably compatible with commercial rolling stock, there are however known issues when you try to combine track systems from different manufacturers. In this article I focus on N scale track, I have compiled other articles that in turn focuses on HO/OO, G scale as well as some others. This article is not intended to give or force an opinion on which track is the Best , as “best” means different things to different people! Most often a little bit of effort at Detailing, Painting and Ballasting the track will make just about any brand look better! PECO is one of the most popular brands world-wide and produces a wide selection of N-scale track and turnouts in codes 80 and 55. Modelers have reported that in some batches, the track does not match NMRA Standards – This however does NOT mean that the track is incompatible with commercially available N-scale locomotives and rolling stock – in fact PECO’s popularity is probably due to the fact that the track is quite forgiving and very compatible with almost all manufacturers rolling stock. Many modelers (world wide), consider the broad range of turnouts and the appearance of the track, together with the overall quality and availability of greater importance, (in many countries PECO has become the preferred track due to availability, performance and cost) as apposed to “just” seeking compliance with the North American NMRA standard. Note: compliance with NMRA standards is a GOOD thing, it is however not the only consideration for many..
Switch-points have a spring lock with snap action; the spring can be removed if a switch machine is used. Construction -Rail sections made of nickel silver . -switch points have a strong and positive throw-this may cause problems with point decoders that cannot supply sufficient power. In the 1960s Arnold created their ‘Rapido’ range, the first N gauge model railway products to be produced. In the following decades Arnold would develop this range, offering more and more products in N gauge. In 2004, Hornby acquired the Arnold brand and has increased the range and availability through its Chinese manufacturing partner. Fleischmann, the German based manufacturer, has been producing model railways since 1938. In 2008 Fleischmann was sold to Franz Josef Haslberger and becomes part of the Modelleisenbahn Holding GmbH (together with Roco). -33.6 mm parallel distance . -very similar from the track symmetry the Roco system . 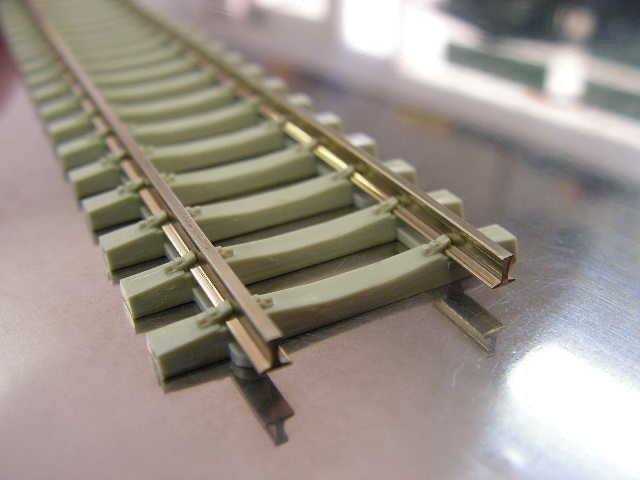 The Italian manufacturer GT, has since 2008 manufactured a limited range of flexible track and simple pieces of track in both N-scale and OO/HO. 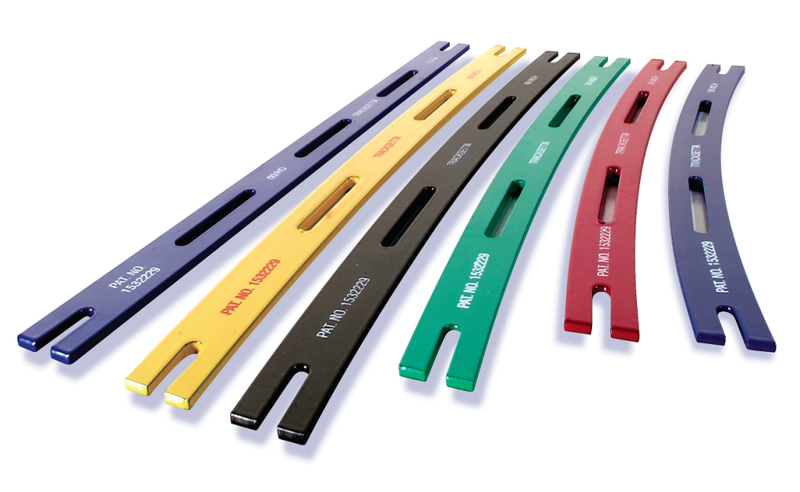 The Flex tracks are simple , inexpensive and fit the profile and track height well to the rails of Roco and Trix. Construction -The rail sections are made of nickel – silver . The Tokyo-based company has since 1957 manufactured models based on Japanese prototypes (such as the Shinkansen bullet train) for the Japanese market, North American prototypes for the North American market and European high-speed trains for European market. The design and distribution of models for the North Armerican market are handled by their U.S. subsidiary, Kato USA, located in Schaumburg, Illinois. The Kato (pronounced kah-toe) model railroad companies were founded by Yuji Kato, father of current president Hiroshi Kato, of the parent company Sekisui Kinzoku Co., Ltd.
Kato manufactures an integrated roadbed model railroad track brand named Unitrack. What distinguishes Unitrack from other brands of integrated roadbed track is Kato’s Unijoiner. This unique track joiner is also used by Tillig in their TT scale integrated roadbed Bedding Track products. -33 mm parallel distance . -Tracks with ballast , which has an additional connector and the integrated point machines .